Contact the Library to Find Out Our Library Specific Nebraska OverDrive Password! Nebraska OverDrive is now requiring a library specific password to be entered before a patron is able to sign into their OverDrive account! We cannot post the password on our website or Facebook page, but you may contact the library in order to get the password. You will need this password in order to continue using this fantastic service. Please call (946-2512) or stop by to obtain the password. Thursday, Jan. 16 @ 2:00 is “Tablets/iPads” Class! You will learn the various settings on your device, setting up an iTunes or Google Play account and the basic functions. Attendees must have an active email account before attending this session. Please bring your device with you when you attend the class. Instructor: Dorlissa Beyer. No preregistration required. No cost. *This class made possible through a Laura Bush 21st Century Librarian grant from the Institute of Museum and Library Services to the Nebraska Library Commission. 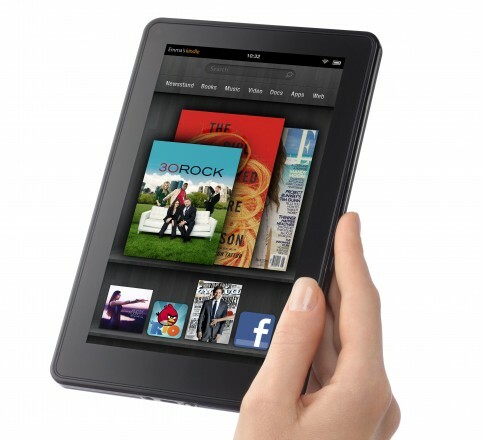 Monday, Jan. 13 @ 1:00 PM is the eReader Class! “Learn How to Use eReaders and How to Download eBooks from Nebraska Overdrive”! Kelly Clarkson’s Christmas album “Wrapped in Red” has songs available for download through your library Freegal acct! With Freegal, you get 3 free songs per week, using your library card number to login (give us a call if you don’t know your card #). https://centralcityne.freegalmusic.com/ — at Central City Public Library. Take a Peek at this Animated Video About our New Online Card Catalog! Get YALSA’s Teen Book Finder App! Free eReader Workshop at Library Monday, October 21 @ 6:30 pm! Contact our library now, to register for the FREE eReader Workshop taking place on Monday, October 21 @ 6:30 pm. Learn how to download eBooks to a Kindle, Nook, iPad/Tablets and other mobile devices. You will also learn how to navigate Nebraska OverDrive, to download bestselling digital books! Attendees must have a working email account before attending the workshop. Kindle owners must also know their log-in information. “Freegal Music” Downloads Now Available @ Central City Public Library! Freegal is a downloadable music service from your library. All you need is your library card number. Freegal offers access to about 3 million songs, including Sony Music’s catalog of legendary artists. In total the collection is comprised of music from over 10,000 labels with music that originates in over 60 countries. There is no software to download, and there are no digital rights managment (DRM) restrictions-they never have to be returned or deleted. Access to Freegal is limited to patrons of subscribing libraries. The music selection changes daily. Did you receive a Nook/iPad/Kindle for Christmas?